You know the feeling: get within 10 feet of a body of water and your hand instinctively death-grips your delicate cell phone. Maybe it’s the cost of the phone, the family pictures from last weekend that haven’t been uploaded, or likely just the painful thought of visiting a cell phone store for any reason whatsoever. Water quality professionals know this feeling to an extreme level. When the river is your office and its tributaries the hallways, there is no room for compromise when it comes to equipment selection—and we are talking about a lot more than cell phones here. To put it simply, every component must be able to survive anything. This is where our business partner Measurement Specialties™ comes in. 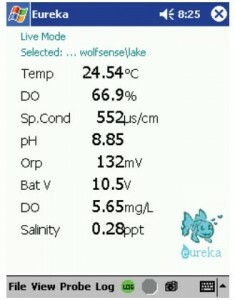 In business since 1983, and having recently acquired Eureka Environmental, it has added to its full spectrum of existing sensor offerings some of the best water quality multiprobes available. 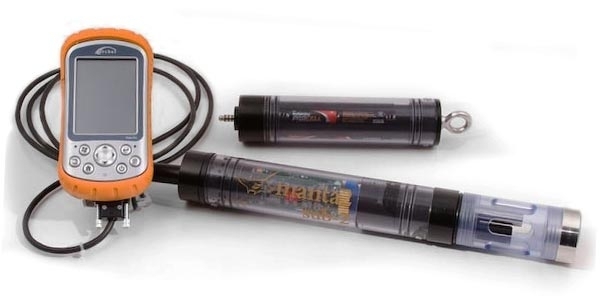 These tsunami-tough multi-parameter probes can be customized to measure temperature, dissolved oxygen, conductivity, pH, turbidity, plus 18 other parameters. Probes don’t get more flexible than this. Water quality experts performing baseline and regulatory monitoring can be up and running with as little as 10 minutes of software training, and once in the field, they won’t have to worry about things like failing cables, faulty connections, low quality data, or hardware that can’t take a beating. On the display side of Measurement Specialties’ water quality packages you’ll find the Juniper Systems Archer® Field PC. A waterproof, drop proof, compact handheld computer designed to make things easy for the data collecting professional. Its ultra-durable connectors, all-day battery, sunlight visible display, and fondness of adverse weather and treacherous terrain make it a fitting match to complement the reliability and ruggedness of Measurement Specialties’ instrumentation. So, whether you’ve landed that big wetland monitoring job or are collecting invasive species data in the blistering heat of the Sahara, make sure to buy equipment you can trust. Oh, and for the water-logged cell phone, this link might be helpful: http://www.wikihow.com/Save-a-Wet-Cell-Phone. To learn more about water quality multiprobe systems, check out Measurement Specialties’ website. If you’d like to find out more about the Archer or other rugged handhelds by Juniper Systems, contact one of our data collection experts. Very informative post on way to scrutinize water quality!